How nonsense papers ended up in respected scientific journals. 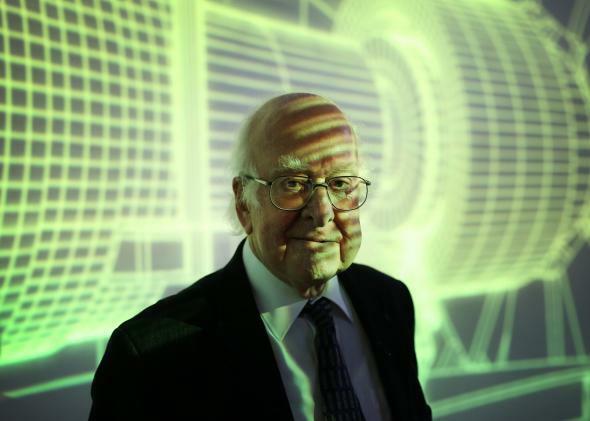 Nobel winner Peter Higgs says that today, he wouldn’t be “productive enough” to land an academic job. On the one hand, it’s impressive that computer programs are now good enough to create passable gibberish. (You can entertain yourself by trying to distinguish real science from nonsense on quiz sites like this one.) But the wide acceptance of these papers by respected journals is symptomatic of a deeper dysfunction in scientific publishing, in which quantitative measures of citation have acquired an importance that is distorting the practice of science. As the spate of nonsense papers shows, scientific publishing has strayed from these lofty goals. How did this happen? Over the course of the second half of the 20th century, two things took place. First, academic publishing became an enormously lucrative business. And second, because administrators erroneously believed it to be a means of objective measurement, the advancement of academic careers became conditional on contributions to the business of academic publishing. Today, the most critical measure of an academic article’s importance is the “impact factor” of the journal it is published in. The impact factor, which was created by a librarian named Eugene Garfield in the early 1950s, measures how often articles published in a journal are cited. Creating the impact factor helped make Garfield a multimillionaire—not a normal occurrence for librarians. In 2006, the editors of PloS Medicine, then a new journal, were miffed at the capriciousness with which Thomson Scientific (which had bought Garfield’s company in 1992), calculated their impact factor. The PloS editors argued for “better ways of assessing papers and journals”—new quantitative methods. The blossoming field of scientometrics (with its own eponymous journal—2012 impact factor: 2.133) aims to come up with more elaborate versions of the impact factor that do a better job of assessing individual articles rather than journals as a whole. There is an analogy here to the way Google and other search engines index Web pages. So-called search-engine optimization aims to boost the rankings of websites. To fight this, Google (and Microsoft, and others) employ armies of programmers to steadily tweak their algorithms. The arms race between the link spammers and the search-algorithm authors never ends. But no one at Thomson Reuters (or its competitors) can really formulate an idea of scientific merit on par with Google’s idea of search quality. Unless academic departments around the world follow Schmid’s example, in another couple of years, no doubt Labbé will find another few hundred fake papers haunting the databases of scientific publication. The gibberish papers (“TIC: a methodology for the construction of e-commerce”) are only the absurdist culmination of an academic evaluation and publication process set up to encourage them.